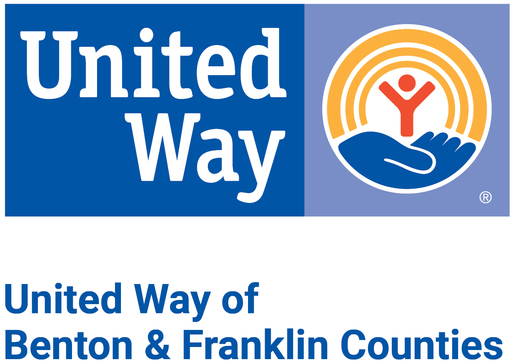 LoAnn became President and Chief Executive Officer of United Way of Benton & Franklin Counties in July 2016. She ensures that the resources entrusted to our United Way get maximum benefit to improve lives in our community. Her formal affiliation with United Way began in 2007 as a Board member; she served as Board Chair in 2011 and 2012. She has been an active member of our community for 30 years and has an extensive background in developing partnerships and growing resources. LoAnn holds an MBA and Doctorate in Leadership from Washington State University. Kim joined United Way in 2012. She is responsible for planning, coordinating, and directing all fundraising efforts related to United Way’s annual campaign. She manages campaign business and individual donor accounts and oversees the Resource Development staff. She holds a Master’s Degree in Educational Leadership from Washington State University. Brant re-joined United Way in 2018 after having previously served in the same position from 2001-2006. He is responsible for the financial operations of the organization including financial accountability and stewardship, donor financial management, development of financial policies and procedures and more. Brant earned a bachelor’s degree in business administration from Pacific Lutheran University. MaryAnne joined United Way in 2018. She leads a variety of marketing and communications activities that support the agency’s efforts to raise funds to support those in need in our community. MaryAnne has a background in journalism and marketing. She earned a Bachelor’s Degree in Communications from the Edward R. Murrow College of Communications at Washington State University. Carol joined United Way in 2002. She is responsible for financial disbursements, including payroll, accounts payable and accounts receivable. Carol also handles the payment of funds designated by donors to specific not-for-profit organizations. Carol's experience includes a variety of financial functions, customer relations, and procedures development and implementation. She is a graduate of Gonzaga University with a Bachelor's Degree in Operations and Information Systems. Caroline joined United Way in 2017. She is a member of the finance department and provides assistance on financial activities and transactions that support the agency’s mission. Prior to re-locating to the Tri-Cities, she owned her own business in western Washington. Heather joined United Way in 2017. She is responsible for developing relationships and raising money to help United Way invest in priority services to support the growing number of people in need across our community. She focuses on corporate relationships and workplace giving and is responsible to create and implement strategies that recruit, retain, and grow corporate and individual donors. Heather comes from a background in non-profit fundraising and event planning and holds a Bachelor's Degree in Marketing from Washington State University. Shanna joined United Way in 2017. She is responsible for developing relationships and raising money to help United Way invest in priority services to support the growing number of people in need across our community. She focuses on corporate relationships and workplace giving and is responsible to create and implement strategies that recruit, retain, and grow corporate and individual donors. Shanna comes from a background in non-profit fundraising and event planning and holds a Bachelor's Degree in Hospitality Business Management with a minor in Business Administration from Washington State University. Jamie joined United Way in 2018. She is responsible for developing relationships and raising money to help United Way invest in priority services to support the growing number of people in need across our community. She focuses on donor and prospect relationships. Jamie comes from a background in finance, fundraising, and event planning. She holds a Bachelor's Degree in Business Administration from Washington State University. Amanda joined United Way in 2019. She is responsible for developing the print and digital materials that support our mission to improve the lives of our community. Amanda has a background in graphic design, marketing, and small business development. She holds a bachelor’s in Digital Technology from Washington State University Tri-Cities, and a Master’s in Strategic Communications from the Edward R. Murrow College of Communications at Washington State University. Liz joined United Way in 2018. Her role is to provide administrative support to the Chief Operating Officer, with a primary focus on supporting United Way's Community Impact activities. Liz is a graduate of Eastern Washington University with a Bachelor's Degree in Education. Jessica joined United Way in 2018. She provides administrative support for the entire United Way team, including assisting with facilities and operations activities, maintaining database records, and supporting the organization’s efforts to help those in need in our community. Jessica earned a bachelor’s degree in English from the University of Mary in North Dakota.